Granted, the MonoRover R2 isn't exactly a hoverboard per se, but it's close enough (and cool enough) that we don't mind drawing the comparison. In fact, nobody can get enough of the MonoRover. The MonoRover is a skateboard-sized answer to a Segway, an awesome little self-balancing scooter-ish transportation device that just screams, "I'm the hippest guy in the room…and yes, I know it, thank you very much." 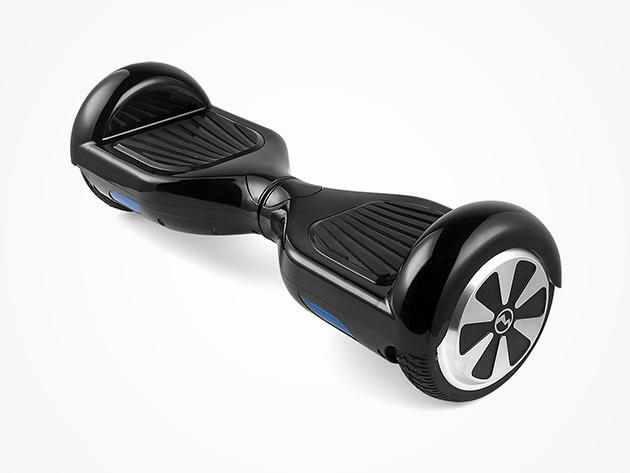 And we want you to have one in our MonoRover R2 'Hoverboard' Giveaway. You can use this little 8-mile-per-hour bad boy for zipping across town, rolling through the mall, picking up groceries, terrorizing the neighbor's cat…whatever. The MonoRover is lightweight, safe, power-efficient and, best of all, easy to learn and drive. How do you win? It's simple….just fill out the online entry form with your valid email address and you're automatically entered. Share the giveaway on Twitter and once you get some friends to enter, that'll actually increase your odds to win. The more Twitter friends you get entered, the greater your number of entries and the greater your chances of winning the big prize. One registration per person please. We're warning you now — if we find multiple registrations under the same name, that's an immediate DQ for you. Don't test us, people.